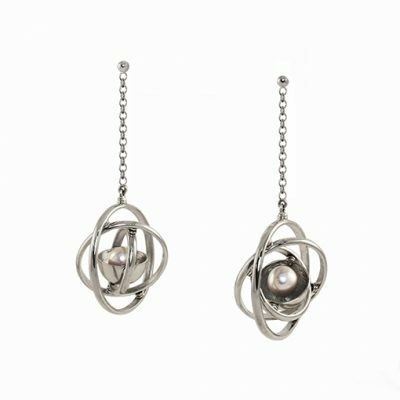 Sterling silver with fresh water pearl and diamond. 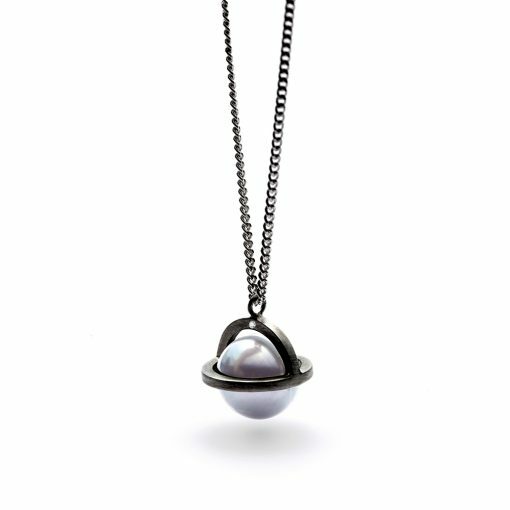 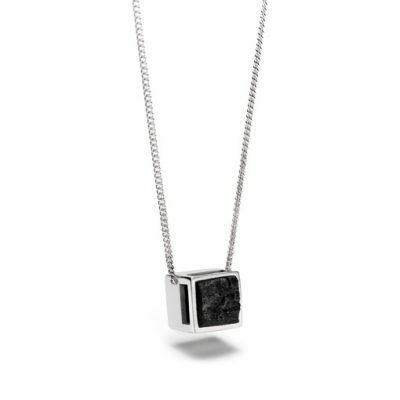 Suspended from a long sterling silver chain, this pendant necklace is crafted of oxidised satin finish sterling silver, surrounding a pale grey fresh water pearl crowned by a genuine diamond. pendant is 14 mm x 14 mm x 16 mm, chain is 90 cm long.